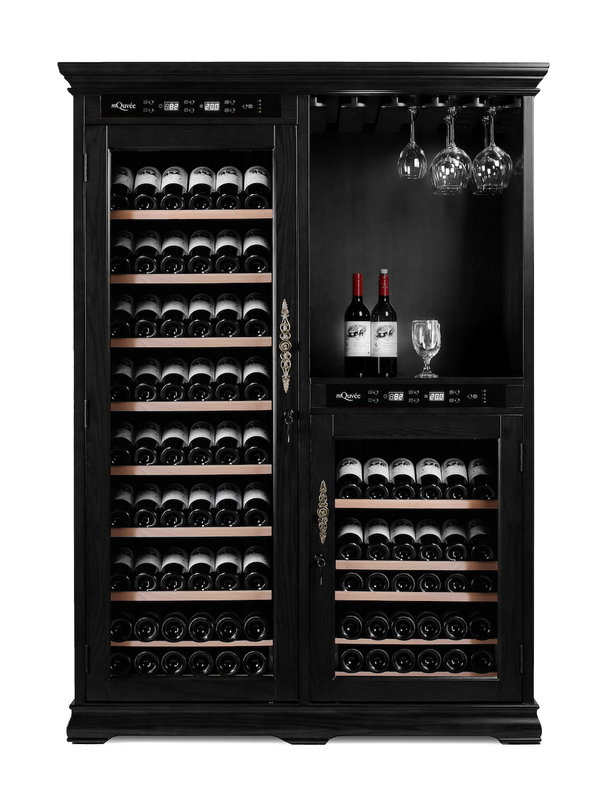 Fantastic wine cabinet from mQuvée in red-brown coloured solid wood (American oak) with 2 cabinets, a work surface and a glass hanger at the top. 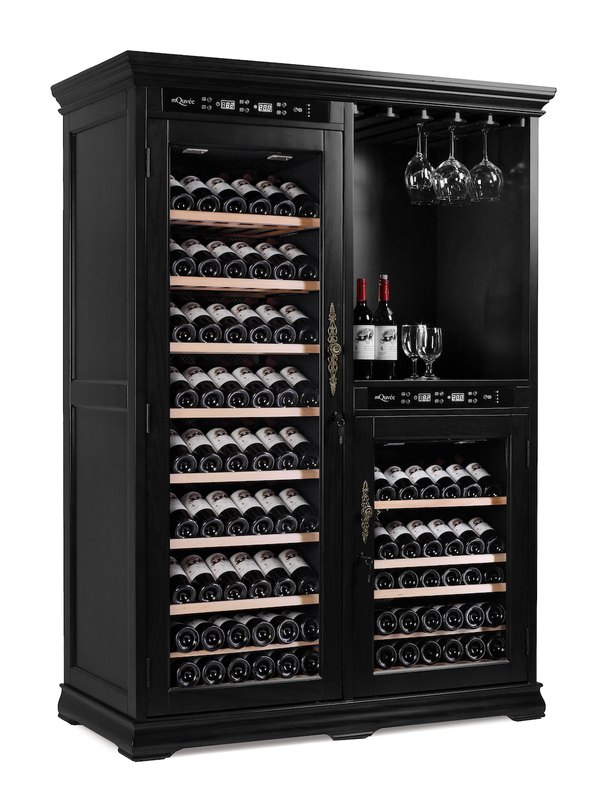 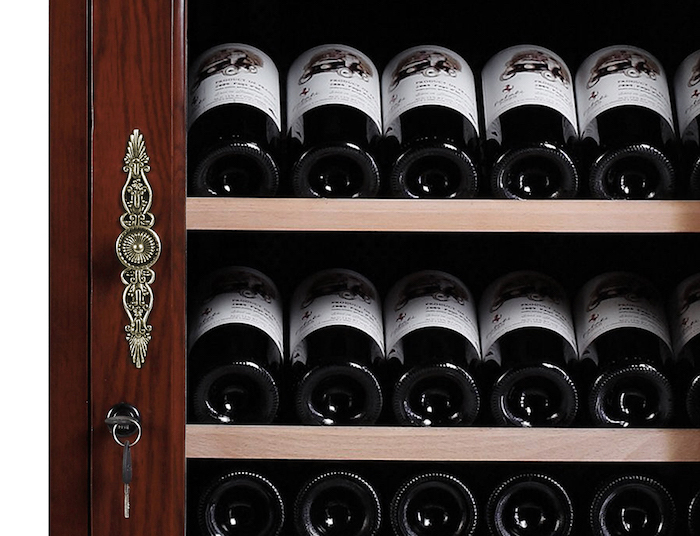 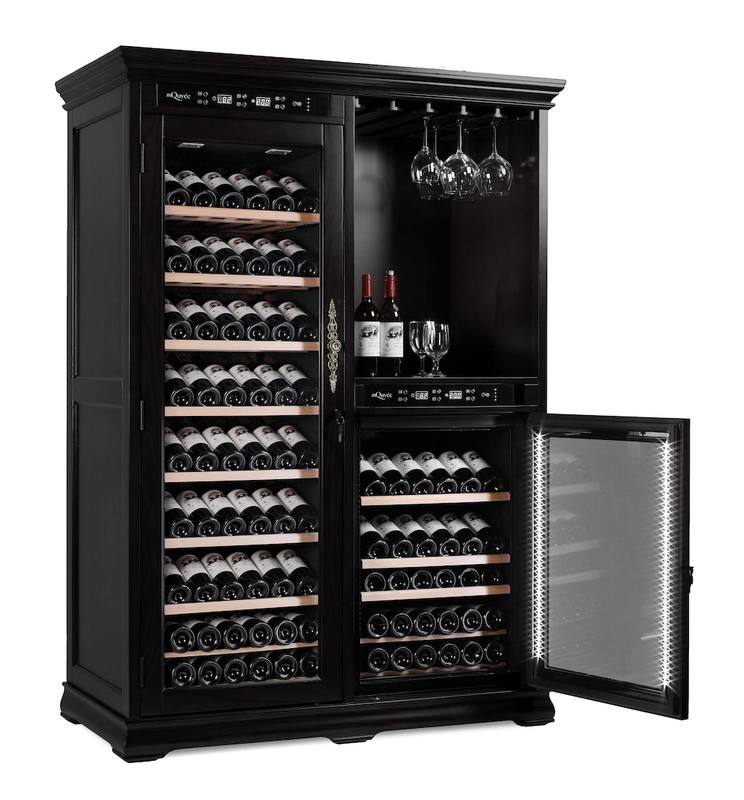 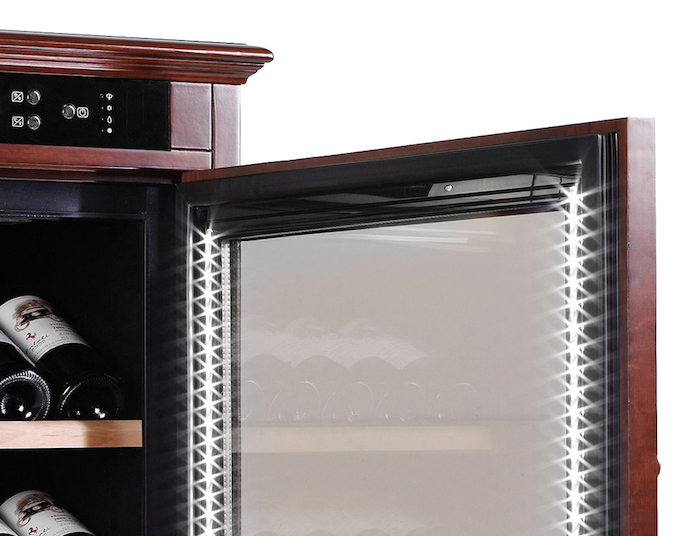 Store your wine in a cabinet that main-tains consistent temperature and humidity so your wine is always in perfect condition and ready to be enjoyed! 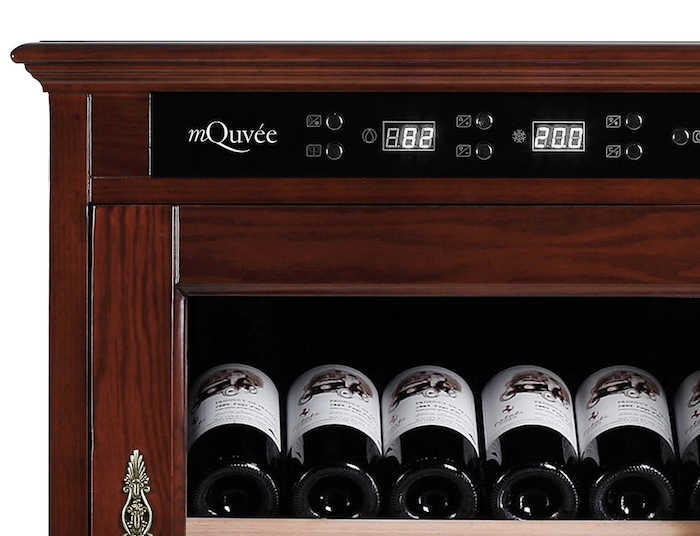 Magnificent wine storage cabinet in wood from mQuvée – it will soon become more than just a wine cabinet in your home!